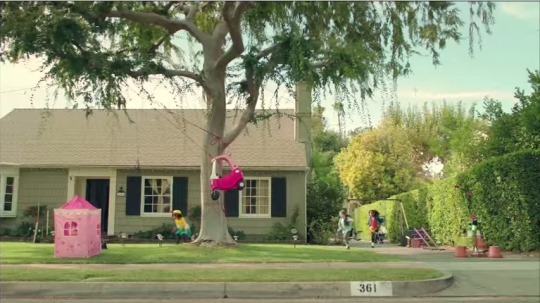 Remember the Super Bowl XLVII ad of 2014 that featured three little girls in hardhats, tool belts, and safety goggles as engineers of a spectacular Rube Goldberg machine? The trajectory of toy company GoldieBlox was changed forever by the ad, which it won in a small business contest hosted by Intuit. The chance to win a Super Bowl ad for your small business is back in time for the big game in 2016. Intuit, the financial software company whose products include Quickbooks, Quicken, and TurobTax, announced a new initiative today to help small businesses with funding, networking, and celebrating success. The three-pronged initiative was created in response to customer survey data that revealed small business owners’ biggest pain points. Based on its finding that 60 percent of small business customers have been denied a loan based on their FICO score, Intuit said it will establish a $100 Million QuickBooks Financing Fund and offer business loans at 15 percent interest via the QuickBooks Financing platform. Applicants won’t be required to complete paperwork or negotiate with lenders, or even be customers of Intuit. Part two of the initiative announced today is in response to the 70 percent of small business owners who tell Intuit that networking with other business owners is important, and the 41 percent who say their work life feels lonely. Intuit’s solution: a new online network to provide opportunities for small business owners to connect with likeminded business owners as well as with accountants, developers, and other small business support services. And finally, Intuit plans to do something for the 37 percent of small business owners who say they rarely have time to reflect on or celebrate their own success. Intuit says it will repeat its Small Business Big Game campaign in 2015. The contest, which the company first hosted in 2013, awards one competing small business owner a multi-million dollar TV ad during the Super Bowl. In 2013, Oakland, Calif., startup GoldieBlox won the Intuit contest, and reached more than 100 million viewers with its “Come on Bring the Toys” ad during the Super Bowl XLVII third-quarter broadcast. The toymaker’s founder Debbie Sterling, who was a recent Stanford engineering school graduate, has since gone on to launch three more games and a mobile app, been recognized by the Clinton Foundation, and marched in the Macy’s Thanksgiving Day parade. Three finalists also benefited from the contest’s exposure with dramatically increased sales, according to Intuit Small Business Big Game spokesman Bill Rancic. Intuit says the campaign will be open to entries and voting by the public on June 1. Ten finalists will receive all-expense paid trips to Intuit’s QuickBooks Connect conference in San Jose, Calif., November 2-4, which will feature major name entrepreneur speakers as well as speed mentoring services, access to leading business journalists, innovation workshops, QuickBooks Online Advanced Certification training, and a 36-hour hackathon with $100,000 in prizes. To complement the conference this year, Intuit will conduct a nationwide QuickBooks Connect Local success tour across five U.S. markets to host educational seminars, training sessions, and more. Entrepreneur Rancic, founder of Xo, G Wine and star, with his wife, of the reality TV show Giuliana and Bill, will give the keynote at QuickBooks Connect Local events, to be held in Boulder on May 21, Atlanta on June 24, Detroit on July 16, Austin on Sept. 22, and Seattle on Oct. 8.